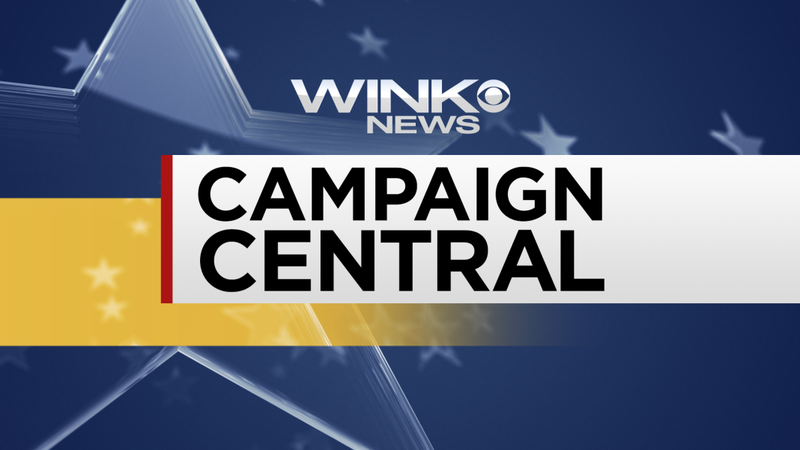 FORT MYERS, Fla. – Candidates vying to replace U.S. Rep. Curt Clawson (R – Bonita Springs) will question and challenge each other in a debate sponsored by WINK News Campaign Central and The School District of Lee County on Tuesday. The debate, which is free and open to the public, will start at 6 p.m. inside district headquarters, 2855 Colonial Blvd., Fort Myers. Doors will open at 5 p.m.
“This is the voters’ opportunity to get past all the political advertisement talking points and hear the candidates give real answers to our impactful questions,” said WINK News anchor Chris Cifatte, who will moderate the debate. Democrat Robert Neeld; Republicans Dan Bongino, Chauncey Goss and Francis Rooney; and write-in candidates David Byron and Timothy Rossano will participate in the debate. The 19th congressional district covers most of Lee County and part of Collier County. Communities within the district include Fort Myers, Cape Coral, Estero, Bonita Springs, Sanibel, Naples and Marco Island.